Maggie B’s was opened by Elspeth and Andy Brown in May 2007. Elspeth graduated from Johnson and Wales University in Charleston, SC with a Culinary Arts degree. While in Charleston, she also obtained the first level of Master Sommelier certification. After various cooking jobs, Elspeth moved to Asheville and started cooking at Horizons, Grove Park Inn’s fine dining resturant. 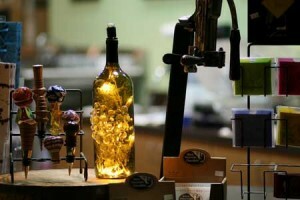 From there Elspeth and Andy fell in love with the charm and the people of Weaverville and decided to open Weaverville’s first ever wine and specialty food store.